Outwardly the exterior of St Mary’s is relatively unexciting with the round headed windows that Robinson also used at the Royal Hospital Kilmainham the most dominant feature. 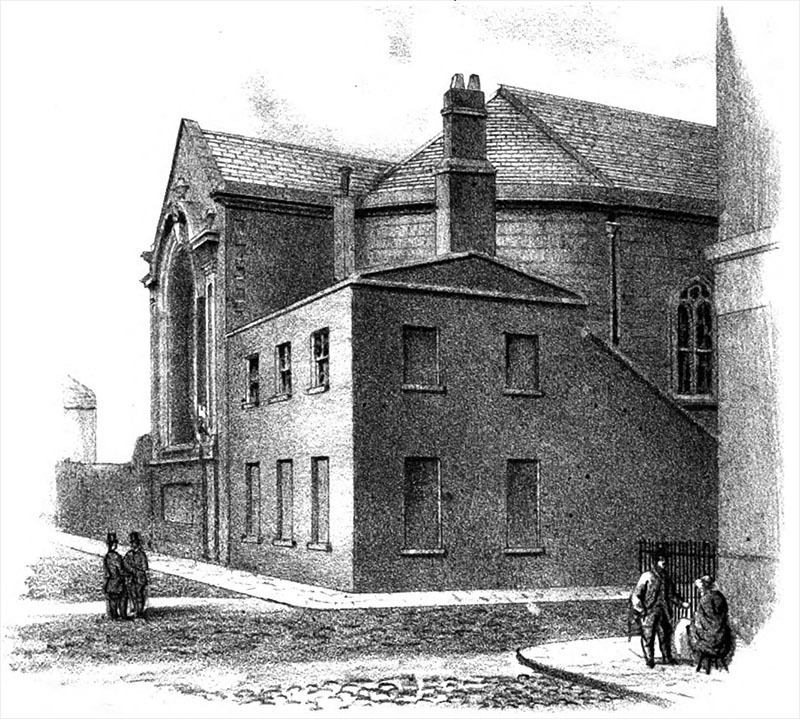 The church like many in Dublin never received its intended spire and has a rather stumpy tower at the west end. Internally the church is galleried around three of the sides with an organ placed opposite the main window. The ceiling is barrel vaulted with an elaborate pattern of plasterwork. The galleries are supported on octagonal columns which also support the roof. 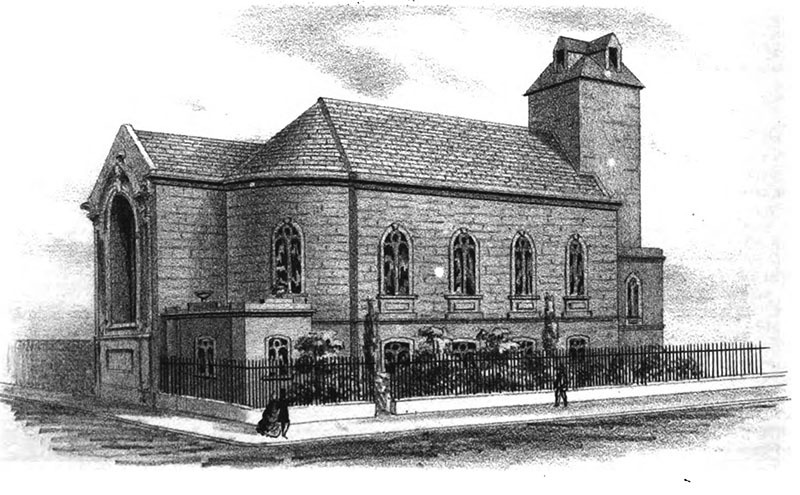 This was Dublin’s first galleried church and closed in 1986. For some years, St Mary’s was a home decoration store with the shop fittings contrasting incongruously with the galleried interior, stained glass and the organ. A new entrance has been knocked out along its northern side making the southern side along the park the most intact and demonstrative of Robinson’s original design. The church has been converted into a bar by Duffy Mitchell O’Donoghue architects. The adjoining churchyard was converted into a public park, the gravestones can be seen stacked up at the southern end.